Just a moment after the release of Internet Explorer 9, IE10 is coming on strong. Today at the MIX11 event Microsoft released the first developer preview of IE10, and gave the world a first taste of the future of the IE platform. Microsoft is being surprisingly open about its browser plans, a trend that accelerated with the inception of IE9, now a year past. What follows is everything you need to know about IE10, in one simple location. Let’s get going. The difference between IE6 and IE7 was a sea change. The same can be said of the jump from IE8 to IE9. The difference between IE7 and IE8 was much smaller. IE10 seems to be shaping up to not be a total refresh of the IE brand as IE7 and IE9 were, but will instead take on the role of IE8 by improving on the previous version while not being radically different. Microsoft isn’t being lazy, it simply has a good thing going with IE9 and it knows it. There is no need for Microsoft to go back to a blank page again. For the first time in a long time in the browser space the company has a foundation to work from. What is new? The core pieces of what makes IE9 a quality product, its accelerated hardware graphics features and HTML5 prowess, will carry over in an improved and more refined fashion. IE10 will have new capabilities, however, including support for CSS3 Gradients and CSS3 Flexible Box Layout. As we noted before, IE10 seems set to be an evolutionary, not revolutionary, step for IE. We expect Microsoft to bake a few more new pieces into the browser before it comes to market. 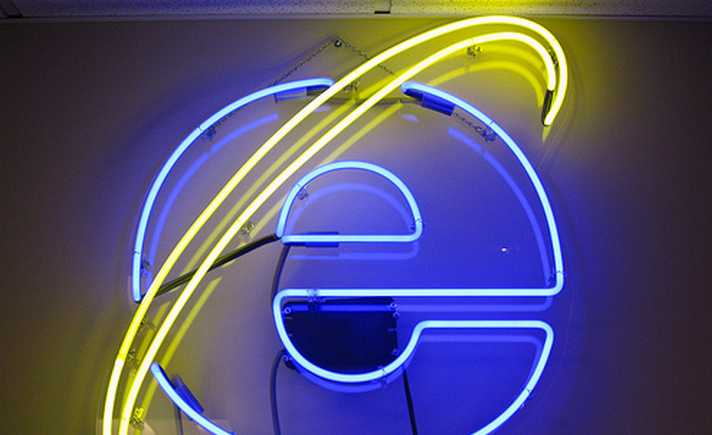 IE10 is currently rumored to be the browser that will come with Windows 8, making for some interesting timing windows. A 2012 Windows 8 release would not be unexpected, putting IE10 in the market only as late as the OS. If, however, Microsoft follows the path of IE9, then we should expect IE10 in roughly a year. Does that mean that Windows 8 will be out in a year’s time? No, IE10 could easily launch before Windows 8 and still be its browser upon shipping; in other words the release of Windows 8 puts a cap on how long it will take for IE10 to come out, while the release date of IE10, if independent, does not influence the release of Windows 8. You can download the IE10 preview here. You can watch the keynote that Microsoft used to launch the preview here. The short clip that follows shows off the preview of IE10 running several demos. Read next: Last.fm: Deeper recommendation features, and now a pause button!